You are here: News / Shop Merch for an Exclusive Signed Album Bundle FREE US Shipping! Shop Merch for an Exclusive Signed Album Bundle + FREE US Shipping! 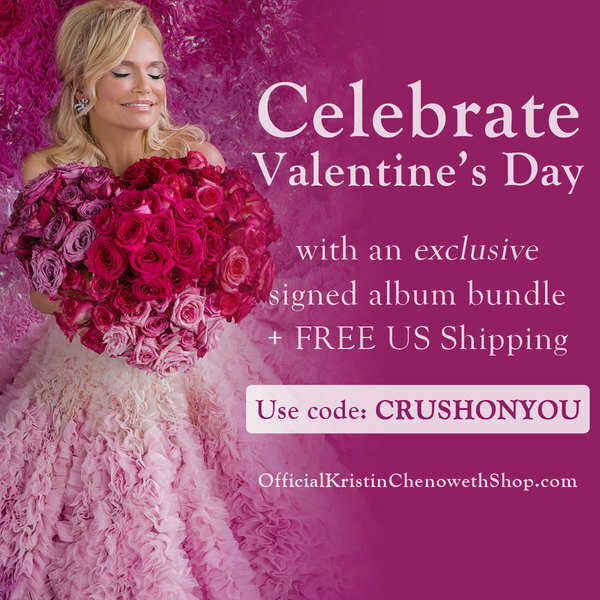 Shop Kristin Chenoweth merch February 1-14th at OfficialKristinChenowethShop.com for an exclusive signed The Art Of Elegance bundle + FREE US Ground Shipping with code CRUSHONYOU!